The NTP package is updated to version NTP 4.2.4p8 to address multiple security issues. NTP 4.2.4p8 patch is applicable for vCenter Server Appliance. Patch for VMware vCenter Server Appliance 6.0 with bug fixes and security fixes. The number of patches will vary but at this time I will be performing the patch for both the TP and FP with release dates of July 07, 2015. First step is to download the latest patches from the My VMware patch page. Once you have the files download, upload them to a datastore and make note of the location. Now you’ll want to connect via SSH to the vCenter Appliance with your favorite client, such as Putty. Accept the certificate if you are prompted and log in. Once you are connected you will get the console. Enter software-packages install --iso --acceptEulas and hit enter and wait for the process to complete. If you have another patch to apply then go back into the C#/WebUI client and load the next ISO and repeat the process again. Once all patches have been applied type in shutdown reboot -r <reason> and hit enter. It can take up to 15 minutes or more depending on your system to reboot and be fully available. 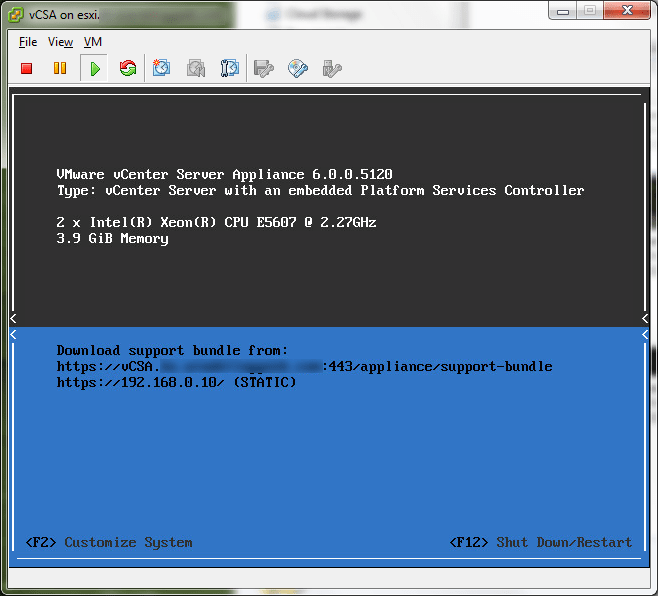 Once the vCSA is running it will be updated to the patched version.